I’ve been listening to Christmas music since before Thanksgiving, and if you’re judging me for that I completely understand, and I forgive you. But for the past few years Christmas has inadvertently snuck up on me; although, I’m not really sure how that’s possible. All the stores start selling Christmas decorations in October, and the radio stations strike up the band in early November–I’m not saying I didn’t see the holiday approaching. What I am saying is that my heart has been unprepared and robbed of the joyful longing and expectation that Advent is meant to bring. All that is to say that I'm not letting my family go through another Christmas season bowing the knee to Santa and missing the coming of the King. I’m not trying to be the Grinch by saying this. In fact, let’s revisit the story of the Grinch this Christmas—not just to laugh, but to learn. There’s a lot the Grinch can teach us about redemption if we only have eyes to see. On December 18, 1966, Dr. Seuss’ How the Grinch Stole Christmas first aired on national television and became a perennial holiday classic. The climax of the story finds the Grinch alone on a mountain eagerly awaiting the sounds of weeping because of his destruction of all the gifts and decorations in Whoville. Much to his surprise, he hears the Whos singing songs of joyful praise. In Jim Carrey’s modern edition—the greatest role he’s ever played in my opinion—a scene is added that wasn’t portrayed in the original that adds a more human element. They had corporately lost sight of the true meaning of Christmas, as the pangs of consumerism had pierced the entire village. In this version, the Whos do initially feel a sense of hurt, but as the story progresses we see that their pain came from realizing what they had previously been blinded to. They had corporately lost sight of the true meaning of Christmas, as the pangs of consumerism had pierced the entire village. That is, of course, with the exception of little Cindy Lou Who, who awakens her Father’s heart to remind the Whos that Christmas can’t actually be stolen: It was never about the presents in the first place. This leads the village to join together in agreement and sing in the streets, as the classic version depicts. The Grinch comes face to face with his own moral lacking as he sees that the person he stole from the most was himself. He rightly diagnosed the greed and materialism of the Whos but missed the self-righteousness and hatred in his own heart. The same Grinch that once looked out over the village screaming how much he hated the Whos, now comes to the end of himself as “his heart grew three sizes that day.” He seeks to make restitution, gain forgiveness, and is ultimately welcomed back into the Whoville community. Those truths are glorious and should stir our hearts to worship, but in my experience most conversations about the Holy Spirit stop there. In our postmodern culture, the church in the west has largely attempted to jettison anything supernatural about our faith in an attempt to make it more palatable. We do this while simultaneously affirming the virgin birth and the resurrection of Jesus. The Scriptures have much more to say about the work of the Spirit than what we commonly discuss, and we ought to press into that reality every Advent season. The Spirit wants to make the love of Christ so real that it moves beyond mental assent to a tangible reality. The fullness of God is not just to be known, but to be experienced. The Spirit wants to give us the power to comprehend the fullness of the love of Christ that’s been poured into our hearts. Isn’t this why Jesus came? The incarnation was the fulfillment of the promise that God himself would come and dwell with his people and be their shepherd—seeking the lost, binding up the injured, and healing the weak. The season of Advent does indeed call the people of God to look back and see the love of their Shepherd King, the Lamb of God coming to be slain on their behalf. Here, laying in the manger is the One who came to take away the sin of the world. However, Advent also calls the people of God to look forward as we wait, because this lamb who was slain is the Lion who is coming once again to judge the living and the dead and to save those who are eagerly waiting for him. The Grinch teaches us that redemption changes everything. Beloved, this Christmas season we should pause often and be reminded of our own redemption. May we approach the Lord and ask that by his Spirit he would give us a fresh experience of the fullness of God that our heart longs for. And may we also learn to look forward, as we wait for our King to come again and make all things new. Christmas Day is rapidly approaching, and I hope yours is filled with family, gifts, and great food. But more importantly, I hope your heart is filled with eager expectation for the coming of the King! Casey Schutza is a Pastoral Resident at Church at the Cross. He is married to his high school sweetheart, Genna, and has two children, Chandler and Bennett. 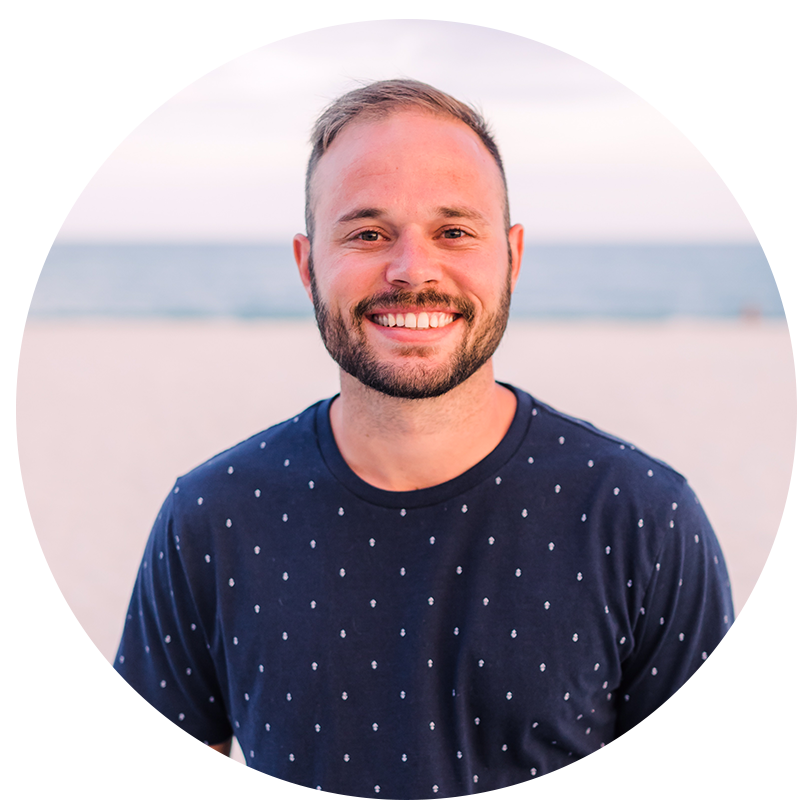 He received his Bachelors degree from the University of North Texas and is currently pursuing a MA in Church Planting at Southeastern Seminary in North Carolina. Casey has a passion for the intersection of theology, culture, and the local church. He played football at Trinity High School and UNT, and he coached high school football and baseball for six years. In his free time He enjoys being with his family, community, and playing guitar.